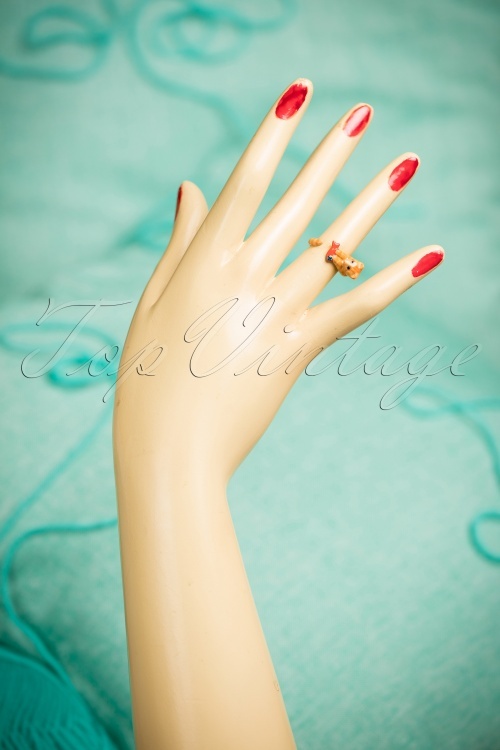 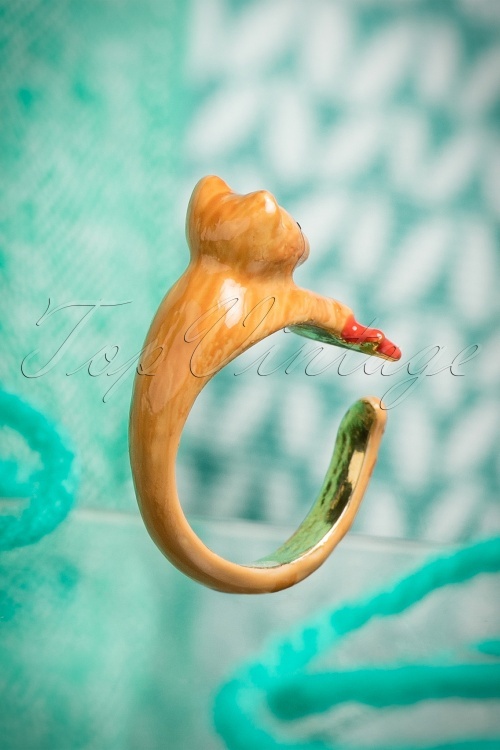 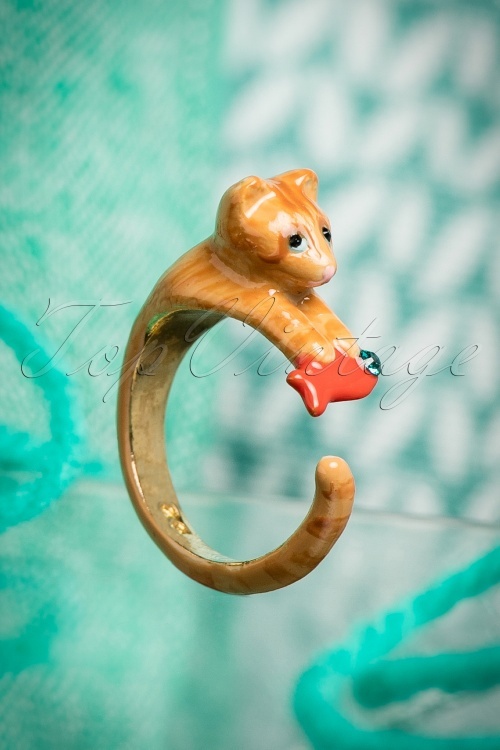 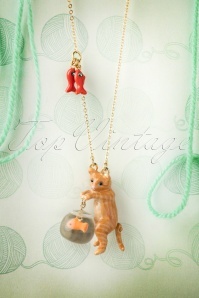 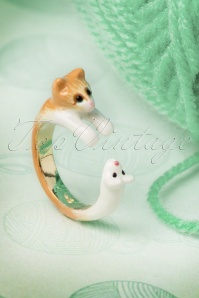 Show your love for animals with this 50s Playful Kitten And Goldfish Ring in Gold! 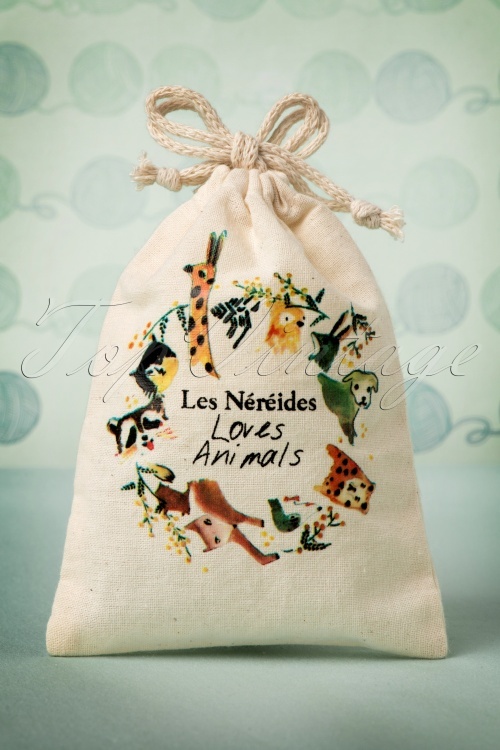 Just like the cute kitty cat shows its "love" for the little fish, Les Néréides shows its affection for our four-legged friends by donating an amount gathered by the sale of this exclusive collection to refuges and shelters striving for the protection of abandoned, endangered or sick animals. 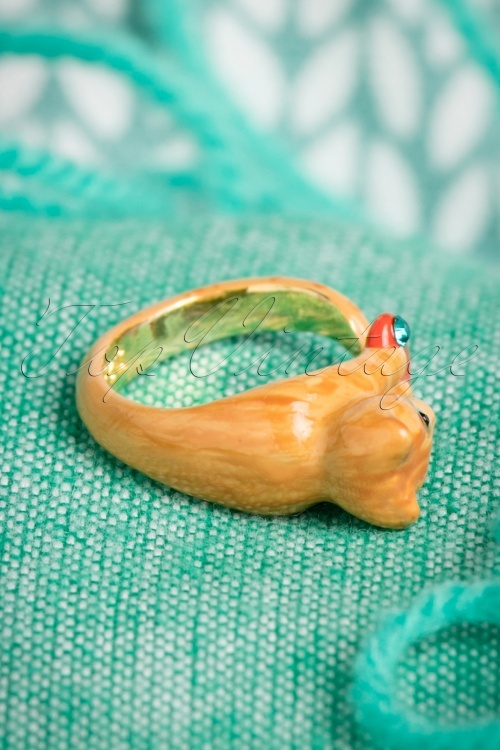 This adorable ring is made from hand-enameled 3D tin casting. 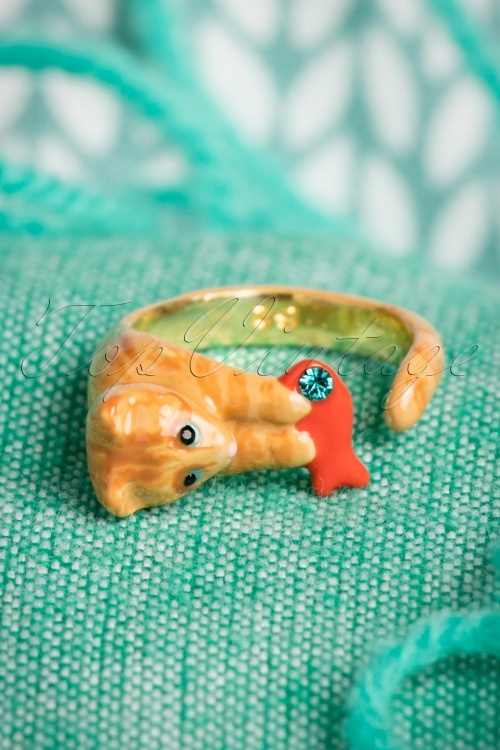 Safe the fish.... UHHHH the animals by buying this exclusive ring!